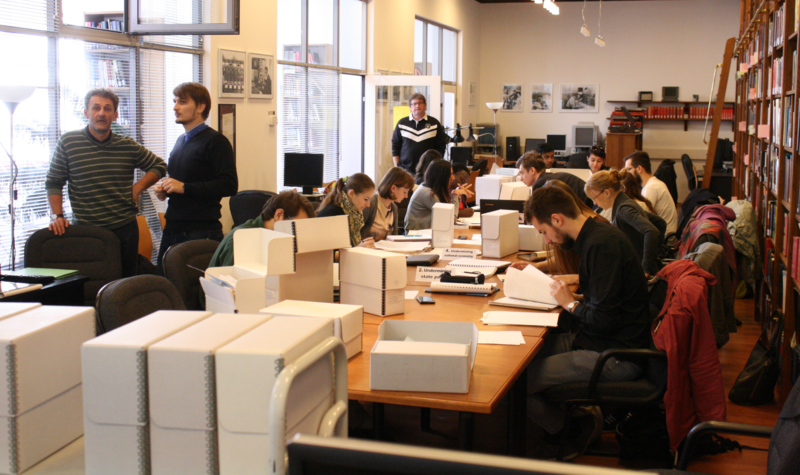 At the beginning of each academic year The Vera and Donald Blinken Open Society Archives (OSA) hosts students from various departments of the Central European University for a week to allow students to discover the various research possibilities at the archives. In addition to the Pre-Session week, this year Blinken OSA is inviting students for a second visit on October 19 at 5:00 PM offering further and more in depth guidance for students already contemplating their research themes and/or MA thesis. During an informal talk the team of archivists at Blinken OSA will help students with their research strategy and methodology, and will guide them through OSA’s collections offering primary and secondary sources (documents, books, periodicals, films, etc.) for their research. Where: Blinken OSA / Goldberger House, Arany J. u. 32.